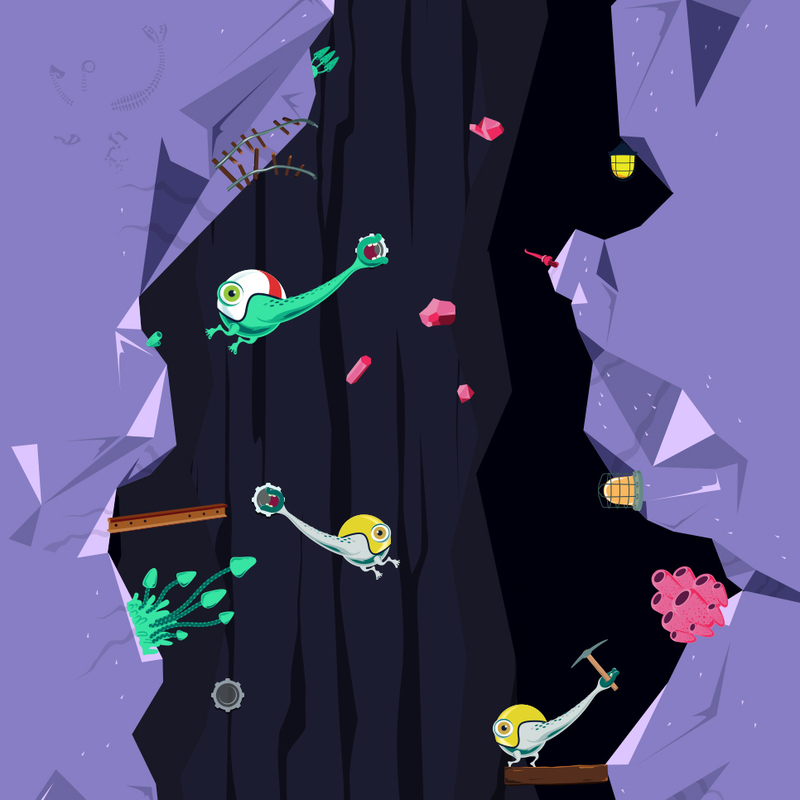 A chew-controlled mobile game for Stride Gum. Stride Gum wanted to reach a new audience of gum-chewing kids. Together with Wieden+Kennedy, we set out to deliver an innovative game to engage this growing target consumer. Set in the dark, cavernous depths of an endless outer space mine, we designed and built Gumulon, a whole new kind of interactive entertainment. 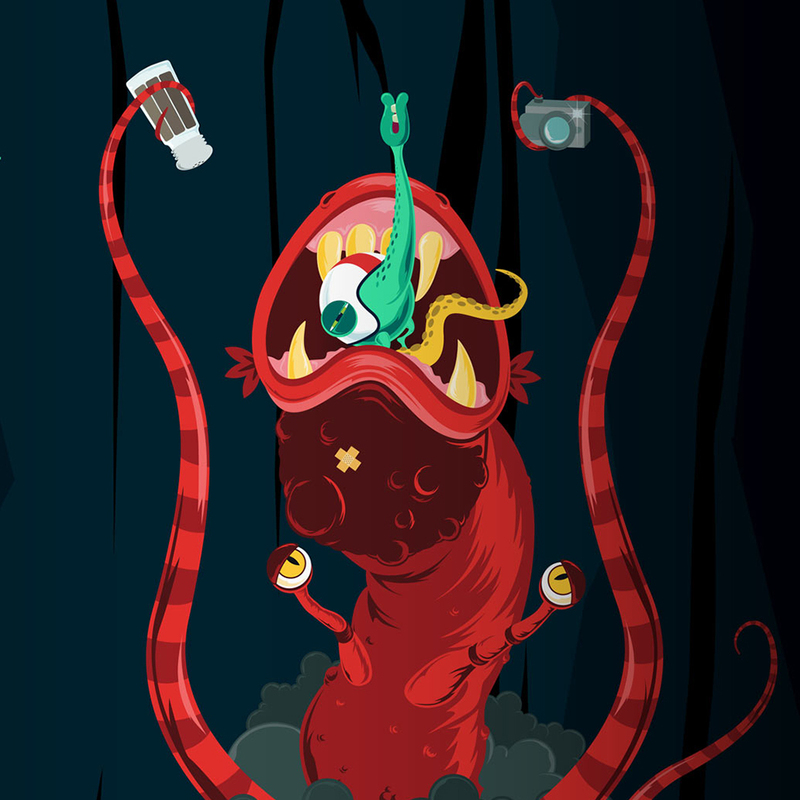 Gumulon’s intergalactic action is controlled using advanced chew-tracking software, developed especially for the game. 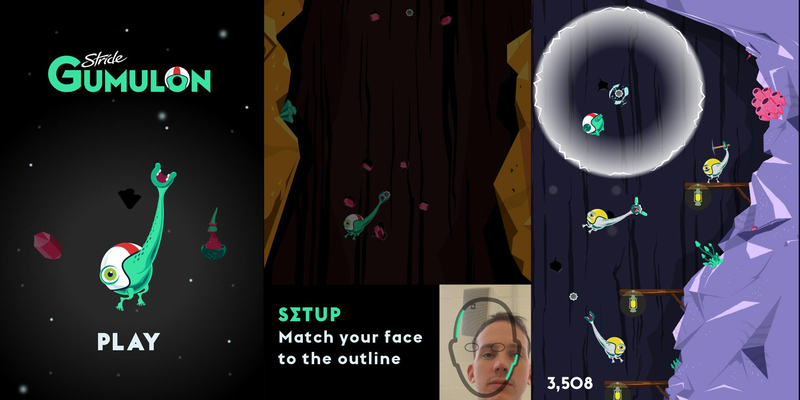 Using the front-facing camera on their mobile phones, players use their mouths to completely control gameplay. Each time they would chew, the main character, Ace, would jump! Players could access exclusive in-game content by scanning the barcodes on packs of Stride gum. We developed Gumulon’s facial tracking software in-house, with the goal of not only achieving accurate tracking of the mouth, but also enabling the software to run smoothly in parallel to the rendering of game graphics. This was critical in ensuring an immersive gameplay experience.